This is the second of my two-part installment "In Preparation For" the upcoming Spectre. In this article, I will be reviewing Daniel Craig's most recent outing as 007, Skyfall. You can read my review for Casino Royale here. I did skip Quantum of Solace for these reviews, as I've heard it's not that good of a movie, and I didn't really have time to watch it. This review will be filled with spoilers, as the film has been out for a number of years. So if you haven't seen the film, watch it and then read this review. 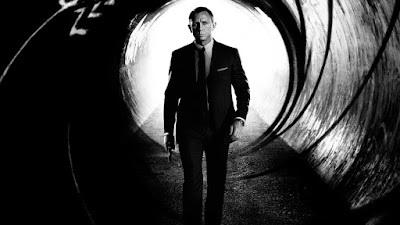 So, as we get geared up for Spectre, let's talk about Skyfall. Skyfall opens with a lot of promise. It bodes well with big action pieces, and an interesting storyline. 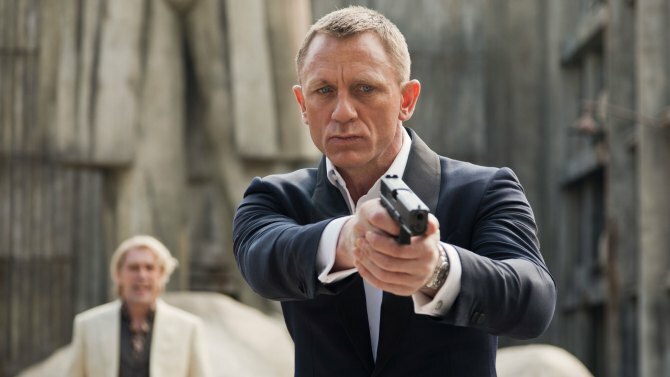 James Bond (Daniel Craig) gets into a really great fight with an enemy atop a moving train, and Eve Moneypenny (Naomie Harris) is ordered by M (Judi Dench) to take a shot that may-or-may-not hit Bond instead of the enemy. Moneypenny takes the shot, and Bond is struck, falling to his (apparent) death. 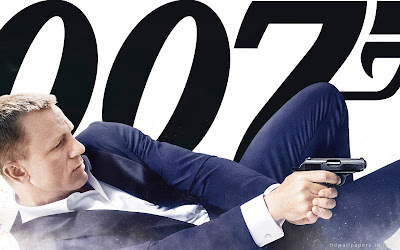 However, we are quick to realize that Bond is not dead, but rather underground and on "vacation", until the threat of a new terrorist leader, and former MI6 agent, Raoul Silva (Javier Bardem) emerges, and is on the hunt to get revenge on M.
There were many elements of Skyfall that I like. First of all, the opening song by Adele is fantastic. It's a beautiful song that I think really elevates the film. The movie also has some really cool action scenes. However, these action scenes were very suave and polished. In Casino Royale, the action was more brutal and gritty, while this film looked more choreographed. I didn't have a problem with it, but it was a very noticeable change in style from one film to another. I also like how this film portrayed Bond. We see him physically struggle, which is something we haven't seen much of from the character. We see him doubt himself in the field. We see him barely get through tests administered to him by MI6. It's a new light we haven't seen Bond in yet, and it was refreshing. I also liked how Judi Dench had a much bigger role in this film as M. She had a light-heartedness to her character, while also being professional and serious. She added a lot to the film, so I was glad that the filmmakers gave her a bigger role. It was also good, as it made you feel more when she dies at the end. I also liked the introductions of Q (Ben Whishaw) and Gareth Mallory (Ralph Fiennes). They had distinct personalities, and were good additions to the film. I did, however, have problems with the film. I thought it was honestly kind of dull, and bloated. I wasn't invested in the story, and the movie consisted of a lot of standing around and talking. I didn't think Silva was that strong of a villain, or had much of a menacing presence. There were some parts where he was a complete badass, but he was just kind of off. This movie would have been better if it had been shorter and more concentrated. It is also a stark contrast to Casino Royale. While that film was dark and gritty, Skyfall was lighter and more stylized. It wasn't bad, but it felt almost too dissimilar to be apart of the same continuity. Overall, Skyfall has some great moments. It starts out strong, and has some really cool action scenes. It introduces characters like Moneypenny, Q, M, and Mallory efficiently while also continuing Bond's character arc. It is shot very well, and the cinematography looks great. However, the story is lacking. The movie becomes boring, and drags a lot. It could have had a good twenty or so minutes cut out to concentrate it better. The contrast in style from Casion Royale to this film was also distracting. But Judi Dench's maximized role, the introduction of key characters and the new element to James Bond's character remain as some of the highlights of the film. What do you think? Did you like Skyfall? Are you looking forward to Spectre? Leave your thoughts in the comments section below.